Social Economy Enterprises (SEE) are power engines of a better society. They may help to reduce poverty and social exclusion, and to deal with ecological challenges, such as pollution or waste management. Social Economy is an innovative and more effective way to respond to social needs in comparison to traditional approaches. It activates multilevel synergies that seek solutions on issues of collective interest alongside specific actions addressed to vulnerable individuals and families. This facilitates an approach beyond the care perspective, activates reciprocity practices, and at the same time produces both social and economic value. Caritas supports contexts and public actors that facilitate an effective and efficient management of collective resources, which stimulates dialogue among different stakeholders and fosters innovation that helps to create an enabling environment for Social Economy Enterprises to flourish. SEEs are directly financed and/or managed by Caritas, by a foundation, or another entity related to Caritas. The main objective is to respond innovatively to a particular social need (e.g. integration into the labour market of long-term unemployed people) while also selling a product and generating revenue that is re-invested into the SEE itself or in other SEEs or services. Essentially, there are three options: re-invest to scale up, re-invest to diversify in other sectors, or invest in other projects. 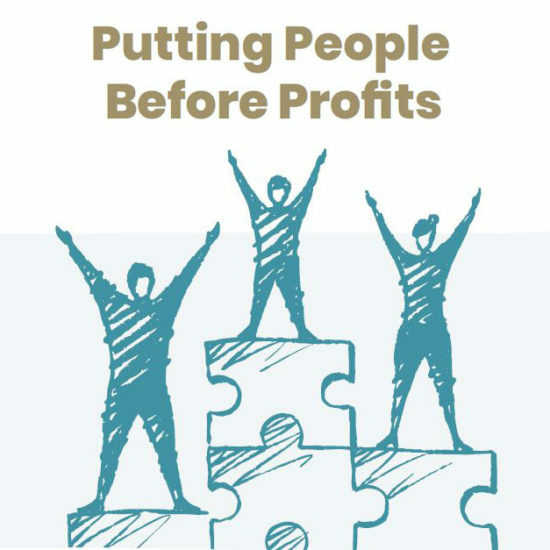 From the perspective of an NGO or a no profit social provider, the investment in social economy enterprises (in one of the two ways we have seen above) has as a first result that the organisation better succeeds to support the dignity and to enhance individual strengths and competency of people far from the labour market. Today´s societal challenges induce non for profit organisations to upgrade their role in society, to opt for a collaborative approach, and to generate alliances with different public and private stakeholders. Social Economy Enterprises can open up new possibilities for dialogue and cooperation with other businesses, local communities and the beneficiaries themselves. These alliances lead to the empowerment of beneficiaries and local communities that become co-creators and agents of change and can enrich available resources for increasing social and economic opportunities for people. By providing successful examples that combine a high social impact with financial sustainability, Social Economy Enterprises can be seen as the pioneers of a new way of conducting business in a human-centred way. They serve as good practice models which can inspire large corporates as well as start-ups and entrepreneurs to start their own SEEs or to develop existing companies in a more human-centred way. Running our own Social Economy Enterprise(s) also improves the credibility of Caritas´ advocacy work towards achieving a more human-centred economy. 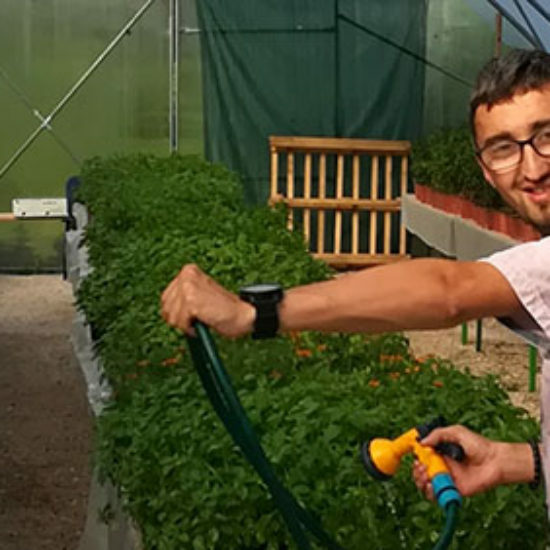 SEEs that are owned and managed by Caritas provide us with first-hand experience of what it means to set up and run a financially and socially successful business. Taking action ourselves gives us deep insight into the practical challenges of running a SEE and boosts our credibility in the public debate about the need for a Social Economy. This is not just the case of Caritas, but also of many other no profit organisations. Most of the existing social services and social projects are at least partly funded either by the public or by private sponsors (like foundations). In these settings, no profit organisations are often limited in their autonomy to design the project. Funding institutions often influence the design and work of social projects by defining specific guidelines and evaluation indicators. This is not the case with funds that are earned by selling goods or services on the market. In this respect, a Social Economy Enterprise can offer greater autonomy in the way a project is designed and put into action. Running a social project in the form of a Social Economy Enterprise also offers new funding possibilities. By selling goods or services on the market, SEEs gain additional revenues that can be seen either as an alternative or as a supplement to more traditional funding resources like grants, public funding, sponsorship, or donations. It offers a supplementary source of funding and helps to reduce existing dependencies. However, Social Economy Enterprises offer the opportunity of extra funding resources but they also depend on initial investments, a good business plan, as well as patience and the willingness to take risks. Together with my colleagues of the Caritas Europa Task Force on Social Economy we have conducted this and other analyses around Social Economy enterprises and Caritas practices that we have gathered in a handbook that will be out soon and that targets all those who want to deepen their knowledge of the Social Economy. In particular, the handbook shows how investment in and promotion of Social Economy Enterprises can support the work and the vision of Caritas and how they contribute to ensuring sustainable social services and social policies. We have considered some reference frameworks at both global and European levels such as the UN Sustainable Development Goals and the European Pillar of Social Rights. Moving from the experience already gained in the various countries in which Caritas has been working on the Social Economy we have analysed the most important aspects to take into consideration when investing, starting-up and developing Social Economy Enterprises. The handbook is enriched also by the description of concrete experiences carried out by Caritas.